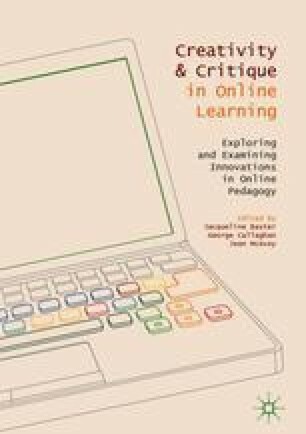 Building on The Open University’s longstanding use of forums for teaching and learning, the chapter begins with a general consideration of their use, most notably acknowledging one of the core perceived ‘problems’ with forums: participation. The chapter then discusses the ‘structural’ and ‘functional’ concerns that are related to the use of forums as spaces for learning, using a series of case studies of forum design and use in order to illustrate how a concern with structure and function can facilitate productive forum use. The chapter moves on to highlight broad principles which hold true across different technologies and institutions. Before concluding with suggestions for colleagues engaging with forums, based on the preceding analysis. Siemens, G. (2005). Connectivism: A learning theory for the digital age. International Journal of Instructional Technology and Distance Learning, 2(1). http://www.itdl.org/Journal/Jan_05/article01.htm. Vuopala, E. M., Hyvönen, P., & Järvelä, S. (2016). Interaction forms in successful collaborative learning in virtual learning environments. Active Learning in Higher Education. Epub ahead of print 30 November 2015. https://doi.org/10.1177/1469787415616730.